Will Stratton is a folk singer and songwriter that’s currently based in New Jersey. Creating beautiful sets of indie folk music, it’s hard not to get lost in his sweet guitars and vocals. Stratton is no stranger in the music industry. He’s released several records including his 2005 debut album, What The Night Said, which featured Sufjan Stevens on oboe. This was followed by 2009’s No Wonder and a set of free, downloadable EP’s including this one. 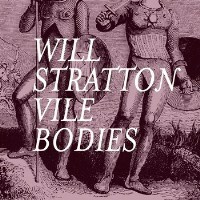 Vile Bodies is an EP composed of 5 tracks and was released as a free download back in September 2009. Like much of Stratton’s music, the singer has a knack for creating a wonderful blend of indie folk with a slight touch of alternative rock. Vile Bodies is a short compilation but it’s beauty lies in every single track making an impression on its listeners. Starting with the single, You Divers; the song starts off slow with only Stratton’s voice and soft electric guitars dominating. Later on the track expands into a full blown soft rock affair, complete with louder riffs which lasts for a brief moment, before heading back to the quiet lush it started with. The second single, Lying in The Dark, plays a more folky vibe conjuring up images of lovely countryside get togethers. Meanwhile, a personal favorite in the record, Vermont is both melodramatic and endearing. Much like the other tracks, the songs showcases Stratton’s soft vocals and skillful instrument work. Title track, Vile Bodies, is another must-listen cut on the EP. Featuring guitars, pianos and and lyrics like “have you ever heard those new girl groups?/the ones with the doe eye models/the ones who wouldn’t even look at you/…” It’s a lovely piece that ends the EP on a high note; essentially capturing its essence. Vile Bodies is a short record that will serve as good company for your more laid-back times. Grab the download and take a listen.